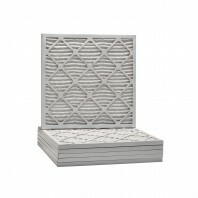 Breathe easy for less with air filters from Tier1 from DiscountFilterStore.com. Tier1 is serious about healthy indoor air and is committed to ensuring that every Tier1 air filter is the highest quality aftermarket filter available. Tier1 air filters are replacement models for top brands like Filtrete, Honeywell, and Lennoxâ€”but cost a fraction of the price. 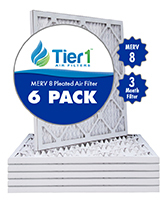 Made with strict quality standards, every Tier1 filter is thoroughly inspected and rigorously tested to ensure you the best possible product. 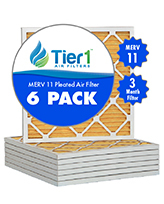 Guaranteed to fit correctly and perform like the brand names, Tier1 air filters ensure clean air at a great value. Free shipping available for orders over $39.